right, so i bought some second hand 4x100 alloys. Brought them home and they would not fit my peugeot 107 2007. So my mate offered to lend me some others in case they were the ones id bought were not actually 4x100, they turned out to be the correct size but the bolt holes dont line up and the pcd is to big? is it me or does the spec change on different years of manufacture? i need some new alloys on thats all. Very confused, you've posted in the events section. All bugs are 4x100 pcd. 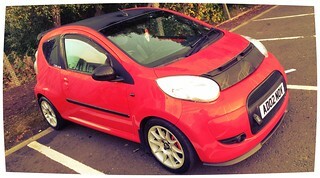 Dont forget, normal Peugeot wheels dont fit they are a similar PCD to ford, but not the same as the C1 etc. Your ones may be std peugeot fitment. Yeah the bugs are jap fitment. Jdm, yo!